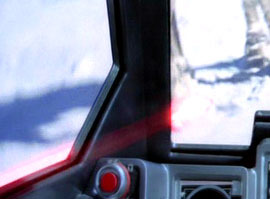 "The Empire Strikes Back - 2004 DVD Changes"
Odd: During the battle of Hoth, you can clearly see a laser blast on the inside of the cockpit. You would think this could have been easily fixed. 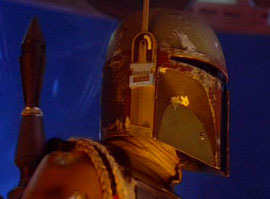 All of Boba Fett's lines have been respoken by actor Temuera Morrison - who played Jango in Episode II. Debate for years has been cleared up. 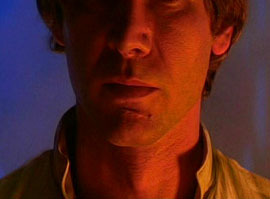 Han's vest has been digitally removed. 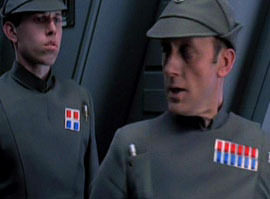 The second biggest change on this release is the conversation between Vader and the Emperor in ESB. 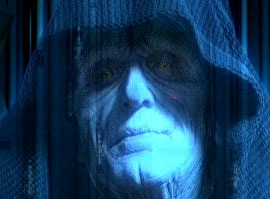 Actor Ian McDiarmid (who played the Emperor in Return of the Jedi) has reshot this scene with new dialogue. Looks a bit odd. This shot originally was shown in reverse. The officer's badges have been digitally put on the other side of their chest.